Finding wealthy Elaine Boldt seems like a quickie case to Kinsey Millhone. The flashy widow was last seen wearing a $12,000 lynx coat, leaving her condo in Santa Teresa for her condo in Boca Raton. But somewhere in between, she vanished. Kinsey's case goes from puzzling to sinister when a house is torched, an apartment is burgled of worthless papers, the lynx coat comes back without Elaine, and her bridge partner is found dead. Soon Kinsey's clues begin to form a capital M, not for missing, but for murder: and plenty of it. ©1985 Sue Grifton (P)1998 Random House, Inc. This is an awesome Book!! 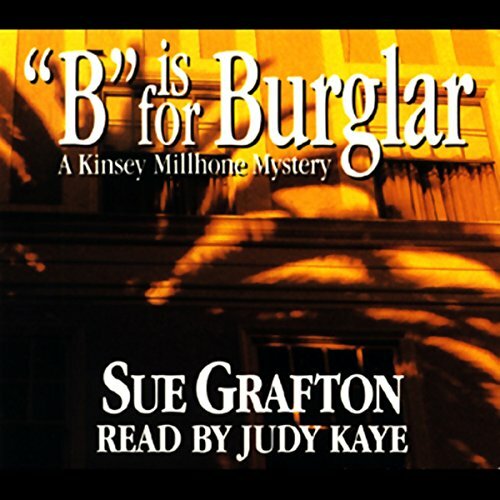 The entire series by Sue Grafton is awesome!!! Get the Books read by Judy Kaye she is a great narrator! See above. Great book to go to sleep on or on a cross county flight. I liked the plot very much. Especially great and awesome for those who learn US English. Judy Kaye is fantastic and always reads the story as if I were living it with her. love these audible books.